The 2014 Homeward Bound Walk to End Homelessness is almost here! We are putting together a LIFEDesigns team to participate in the Homeward Bound walk on Sunday, April 13 at 1pm. We are recruiting staff, customers, Board members, donors, and volunteers to walk with us during the upcoming Homeward Bound walk. Everyone who signs up for the LIFEDesigns Team will get a FREE LIFEDesigns t-shirt in beautiful tangerine (NEW shirts!). We want to show the world a sea of orange as evidence of the support our agency has from all these groups. The walk will begin at The Waldron, Hill and Buskirk Park (Third Street Park). Registration and pre-walk entertainment will begin at noon. This is a family and pet friendly event so feel free to bring everyone with you! 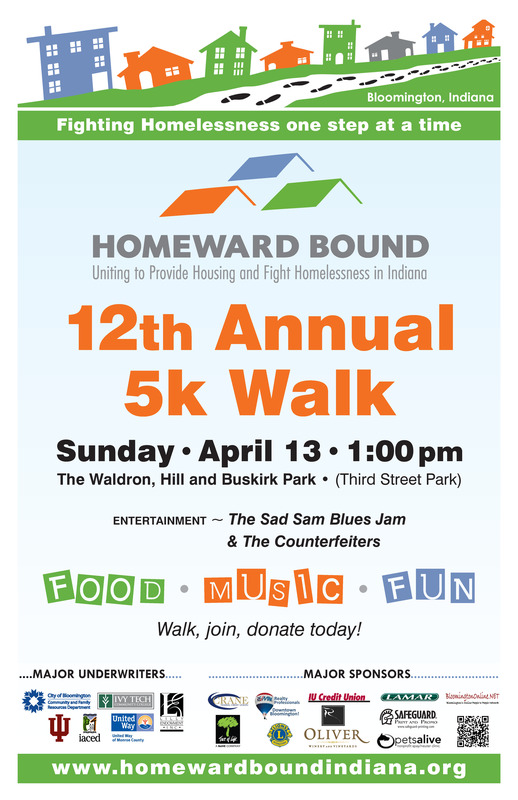 To register, go to http://www.homewardboundindiana.org/walk/bloomington, click Register Today, click Join an Existing Team, choose LIFEDesigns in the drop down box where is says Select Team, then enter your information. There is no cost to register for the event, but if you donate $20 by April 10, you will receive a t-shirt (in addition to the tangerine LIFEDesigns shirt) from the Homeward Bound crew. As this is a fundraiser, we encourage you to collect donations for the event. This $20 donation is a great start towards supporting the benefiting agencies – which includes LIFEDesigns this year!